I vividly remember my first geography class. I walked into what could only be described as a typical middle-school classroom. Except for one thing — on the wall hung an enormous, laminated map of the world. The capital cities were denoted by a small star. The bodies of water were labelled. Everything had a name. There was something about that map. After all, it represented our entire world. Countries I had never heard of before, places I wanted to visit someday, small nations, large nations and everything in between. The ten-year-old in me was fascinated. Well, we worked with many more maps that year. When it came time to explore the map of Canada, I remember being astonished by the sheer size of our nation. From coast to coast, Canada was big. No, it was huge. Ten provinces and three territories, my teacher said. Of course, each province had its own capital and major cities. And then there was our national capital — Ottawa. If someone gave me a blank map of Canada today, I’d probably be able to fill in most of the provinces. Perhaps a few capitals. But, there’s a lot that I would likely miss. That disappoints me. We’re a nation of over 35 million people. We’re more than just Ontario or Toronto. We’re a community and quite a diverse one at that. So, what can we do to get a bigger picture of Canada and its geographic and cultural diversity? The easy answer is travel. Explore everything our country has to offer. 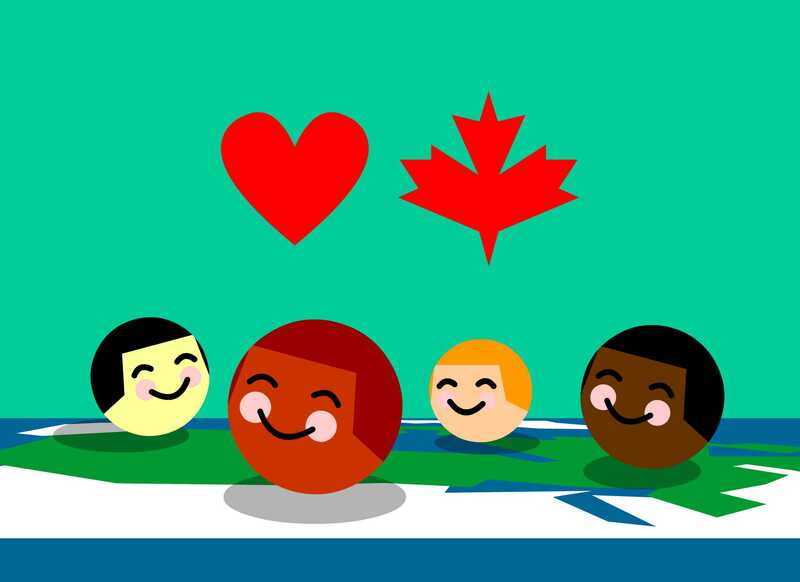 In just over a week, the Olympic games will bring the world together. Canadian athletes will be there, proudly representing our maple leaf. Our athletes will be our representatives on the world stage. They could be from the smallest city in Canada or from the largest financial hub. But, that doesn’t make them any less Canadian. But, we can do more. If we read about something happening in a Canadian city we aren’t too familiar with, a quick Google search could be useful. It would help us understand the approximate location that is being referenced and get some much-needed context. If a foreigner visiting Canada asks you about a specific province, you should have a general idea about where it is. If they ask you about the top places to visit, you should be able to share your insight. Being able to describe an entire nation is no easy task. We each might have different ways to explain what it means to be Canadian. Your list of must-see landmarks might be different from mine. That’s fine, but as Canadians we should pride ourselves on sharing our unique geographical, cultural and historical roots with others. The first step towards doing this is an appropriate understanding of the vast place we call home. After all, we are the second largest country in the world, by area. So, here’s my challenge. Go find a map from Google and make sure you can identify all our provinces and territories. Move on to capital cities, label The Great lakes, the St. Lawrence River and other important landmarks. Where is Stanley Park on your map? Where are the Hopewell Rocks? You might be surprised at how much we still have to learn about our nation and how it fits together on a map. Once you have a general idea of where everything is, you will likely feel a sense of accomplishment. Knowing the major Canadian landmarks will also allow you to delve into our nation’s diversity and represent it as accurately as possible on the world stage. Next time you have a conversation with someone, impress them with your knowledge about where you live and what it means to you.